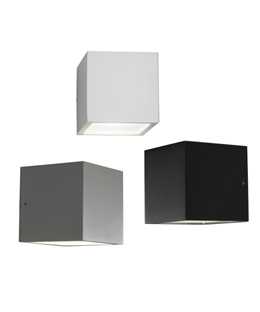 The classic Cube outdoor lamp in two useful versions. 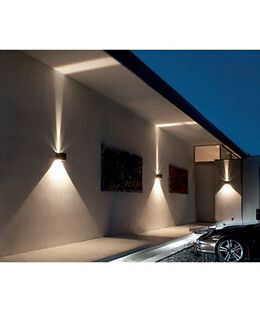 Down is mostly used for bollards as well as situations where the lamp is mounted below eye-level on a wall and you want to avoid glare. 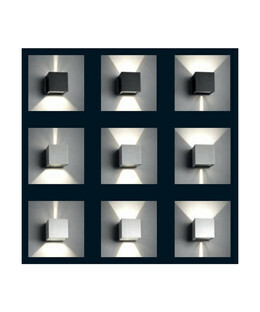 The Up/Down version allows the light to shine up and down at the same time. 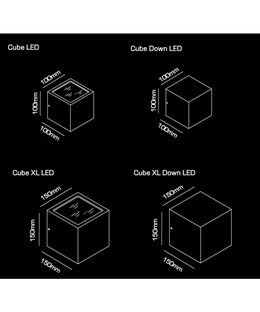 Cube LED can also be used indoors.